Today, February 22nd, is the second anniversary of the Spectrum Act. Congress passed that law on February 22, 2012. It created the First Responders’ Network Authority. The law was the culmination of over a decade of advocacy by many public safety officials who saw the inadequacy of responder communications in the wake of disasters like 9/11, Hurricane Katrina, and many smaller incidents. In these incidents cops and firefighters and paramedics and other responders found themselves unable to adequately communicate and protect the public. FirstNet’s mission is grand: to build the first nationwide public safety communications network for responders, especially first responders to both daily incidents and larger disasters. Here we are, two years into the ten-year mission authorized by Congress. It has been a slow start, and lately – over the past 6 months – FirstNet’s progress appears to have either stalled or is undergoing a reboot. This is very frustrating for those of us in states and cities who are trying our best to evangelize and support FirstNet’s mission. I’m the FirstNet State Point of Contact (SPOC, commonly pronounced “spock”) here in the Other Washington on the west coast. I’ve been speaking to groups of public officials and police chiefs and emergency managers and firefighters and other responders in Washington State about FirstNet since May, 2013. I’m starting to feel a bit like a computer software salesman pushing vaporware. “Oh yes, that feature will be in our next release slated to come out in 2017”. So here’s my take on what’s going on Inside-the-Beltway. 1. Here come the Bureaucrats. There is one phrase in the Spectrum Act which causes a lot of confusion: “There is established as an independent authority within the NTIA the ‘First Responder Network Authority’ or ‘FirstNet’” (47 USC 1424 Section 6204). An “independent authority” “within” a long-established bureaucracy? What the hell does that mean? Well, I’m sure lawyers at NTIA and the Departments of Commerce and Homeland Security and the FCC have all been spending thousands of hours trying to figure that out. I suspect there is an epic struggle going on within the Beltway for the control of FirstNet and its $7 billion in funding. I don’t have direct evidence, but if you look at job descriptions which have been posted, e.g. for the Chief Information Officer, they clearly stated the FirstNet CIO would report to the NTIA CIO on a dotted line and would enforce NTIA information technology policies. We know FirstNet is subject to all Federal personnel procedures for hiring staff, issuing RFPs and doing procurements. FirstNet Board members have publicly said it will take them a full year to develop and issue and receive RFPs. So much for the “independent” part of that law. 2. Contract staffing. FirstNet’s already had a scandal. 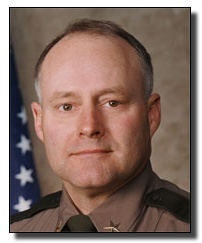 Story County, Iowa, Sheriff and FirstNet Board member Paul Fitzgerald spoke out at the April 23, 2013, Board meeting. Sheriff Fitzgerald protested, among other things, conflicts of interest between board members and contract technical staff hired to do the real meat-and-potatoes work of designing and building the nationwide network. I’ve heard – but cannot verify – that some of the contract staff hired in late 2012 and 2013 were paid $300 an hour. Now hiring contract staff for engineering and technical work at market rates is done all across the federal government. Federal employee pay scales are compressed and have been kept low for a number of years by Congress. So hiring outside technical staff is a prudent action. The allegations of Sheriff Fitzgerald go far beyond just cost, however. They also relate to the contract vehicle used, how the staff were identified and hired, and more. And the conflict-of-interest allegations are still open and under investigation by the Inspector General of the Department of Commerce. But here’s the upshot: the contract under which the staff were hired expired in October, 2013. Most of the existing 35 or so contracted staff (who were quite competent, by the way) were laid off. Three new contracts were established in October. But as of this writing – four months later – no technical contractors, and only a handful of public relations contractors, have been hired. How do you create a nationwide design and individual state-specific plans for a wireless network without technical staff? I suspect #1 above is at play here – the typical reaction of any government bureaucracy to allegations or scandal is to circle the wagons and lay on the rules, regulations, oversight, multiple approvals by multiple levels of officials. This doesn’t bode well for either the short-term or long-term ability of FirstNet to get the staff support it needs. 3. Full-Time Staffing. I think FirstNet has about 25 federal employees working for it. Their goal, I believe, is to have 100 or more full-time staff to do the work. Gee, two years into a $7 billion project and only 25 full-time staff have been hired!? And, frankly, most of those folks are transfers from other federal departments such as Commerce and Homeland Security. In the Federal personnel system, it is relatively easy to hire and transfer existing federal government employees. It is much harder to hire from the non-Federal staff – especially folks with on-the-ground responder experience. Multiple interview panels and layers of human resource review, not to mention background checks and financial disclosure. There have been a few major hires from the outside – General Manager Bill D’Agostino with commercial/Verizon background, T.J. Kennedy with Utah State patrol background, and Bill Casey formerly of the Boston Police via the FBI. But key positions go unfilled, such as the CIO and CTO positions. Despite the difficulties, every full-time person working at FirstNet who I personally know – no matter what their background – is very committed and competent. But, again, #1 is at play, and at this rate it will be years before FirstNet gets its complete complement of full-time staff. 4. Stiffing your friends. Eight cities, regions and states around the country were funded for about $400 million under the Federal stimulus (technically the American Recovery and Reinvestment Act’s Broadband Technology Opportunities Program, ARRA/BTOP, a mouthful) or similar grants to build public safety LTE networks compatible with FirstNet. Many of these networks were well along – Harris County (Houston) is operational. Charlotte, North Carolina and Mississippi (statewide) were substantially deployed. The San Francisco Bay area (BayRICS) was moving rapidly in planning and site development. But when FirstNet was created in 2012, NTIA abruptly stopped seven of these projects, restricting their construction until FirstNet could review them and authorize them to be completed. FirstNet started negotiations with them, but in the case of Charlotte and Mississippi, those negotiations have fallen apart and the LTE part of the networks is shut down. Motorola, vendor on the BayRICS project, was unable to reach accord with FirstNet and gave up its BTOP grant in December, 2013. I don’t know specifically why each of these negotiations failed. In some cases I believe it was FirstNet’s refusal to promise to incorporate the local network into its overall nationwide plan. In other words, FirstNet might actually overbuild the BTOP-funded network in the city, region or state. Such an overbuild would not give the local agencies time to recoup their investments. In other cases FirstNet refused, I think, to allow the local network the ability to expand over time and improve coverage in its geographic area, which could hamstring the use of the network by responders. Each of these jurisdictions invested considerable local funds and political capital, not to mention time and effort, into these projects. The projects, if completed, would have been showcases for the promise of FirstNet. More importantly, FirstNet would have created a cadre of mayors, elected officials, Sheriffs, police chiefs, fire chiefs and others singing the praises of public safety broadband. Maybe the states were asking too much of FirstNet. Perhaps the lawyers got things tied into legal knots. Maybe the business plan for funding and operating these networks wasn’t going to work under any circumstance. All I know is that now, in these jurisdictions, there is simply bitterness over a failed effort and promise. And there are four jurisdictions which DO have spectrum leases with FirstNet, although their timelines and deliverables are still murky. Undoubtedly there are lessons to be learned and advocates to be created via those projects. 5. Overpromise and under-deliver. We’ve had a number of false starts. At the very first Board meeting, in September, 2012, member Craig Farrill announced a “conceptual network design”. Really? Where was the collaboration with the public safety community before this announcement? At regional meetings in May and June 2013, FirstNet Board members were talking about coming out to states and meeting with Governors within 60 days. Yeah, right. In the fall of 2013 we in the states were hoping to have a lot of specifics in terms of materials and data requirements to conduct outreach and education for potential users in our states. We’re still waiting. Even minor things like having a viable website at www.firstnet.gov branded for local and state public safety has been promised since summer, 2013. Today that website has still got the NTIA brand all over it, and is only minimally functional. Gets us back to #1, I guess. I’ve listed a whole set of concerns and issues, but I also see some positive signs. This coming week and in early March, FirstNet and NTIA staff will hold two workshops for the SPOCs and our staff in the Eastern and then the Western U. S. We’re hoping to see a clear roadmap for the FirstNet’s ahead. Deputy Manager T. J. Kennedy recently laid out much more detail on how the consultation with states will occur. FirstNet has published a number of Requests for Information (RFIs) seeking a lot of information from potential vendors and others on a number of aspects of the network ranging from devices to network design to applications and apps stores (although, with the staffing shortfalls mentioned above, I’m not sure who is reading the responses). General Manager Bill D’Agostino says his plan for the year ahead “will make your head spin”. There are hundreds of us out here, FirstNet, who still believe in you, believe in the mission, and want to help make it happen.